1. Curl & Volume Mascara (3000yen, 5g): Contains 'volume up powder' and 'volume up smooth polymer'. Waterproof and sebum/sweat-resistant. 2. 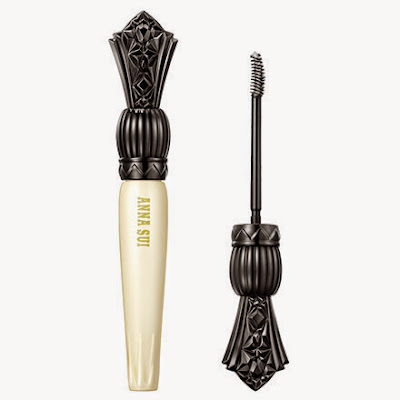 Length & Separation Mascara (3000yen, 5g): Film-type mascara that can be removed with just warm water. Contains both hard and soft fibers for lengthening. Sweat and sebum-resistant. 3. 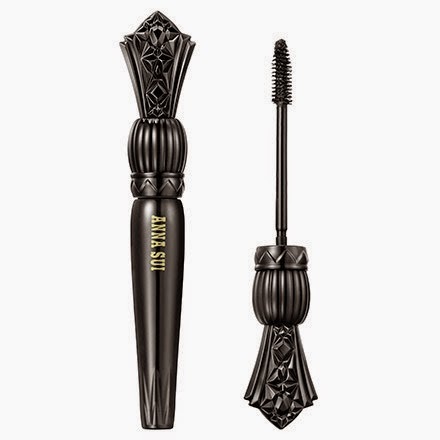 Mascara Primer & Top Coat (2500yen, 5g): Waterproof, sebum and sweat-resistant mascara primer and top coat with a small screw brush for ease in reaching the lash roots. Helps to keep the lashes curled all day. God, no...What is with Anna Sui's new packaging?